"It don't mean a thing if it ain't got that swing!" 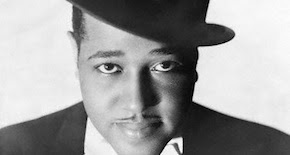 Explore the music of jazz legends Duke Ellington, Cab Calloway and Louis "Satchmo" Armstrong. This concert has so much energy, the legs on your seats will be tap dancing! Free tickets for "Dance! Sing! Swing!" are available now at the Max M. Fisher Music Center box office at 3711 Woodward Ave., by calling 313.576.5111 or Get your FREE TICKETS by going to the DSO website at this link.